We are right behind the Coffee Bean. Park behind our office. 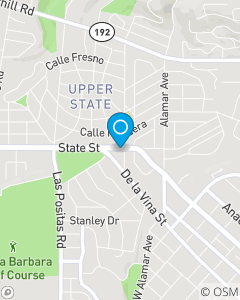 Enter from either State or De La Vina. Our mission is to help our customers understand and identify their Insurance needs. We will provide customers with Insurance and Financial products that will insure that they are adequately protected in a time of loss and that their future goals be met. Behind every customer will be my team of truly knowledgeable, efficient, and caring staff whose number one goal is to help the customer be protected now and in the future.